325 episodes of Fintech Insider by 11:FS since the first episode, which aired on July 12th, 2016. We're in NYC for New York Fintech Week! Sam is joined by some great guests to talk about the future of money and the UK as a leader in the space. David and Ross are joined by some great guests to talk about some of the most interesting stories of the last 7 days. Including: Revolut keeps on spinning, Xero is making tax great again, and UK MPs are 'very likely' to launch probe into RBS remedies fund allocation. David and Leda are joined by a few great guests to talk about some of the most interesting stories of the last 7 days. Including: How do you like them apples? Apple launches Apple Card, Monzo and OakNorth team up to offer savings accounts and Erica’s a hit in America. Host and producer Laura Watkins flew to Luxembourg to attend the LHoFT's Fintech Friday event to see what's changed in the region and what the country is planning to do next for fintech. David Brear and Jason Bates are joined by some great guests to talk about some of the most interesting stories of the last 7 days. Including: WorldPay sells to FIS for $35bn, Alipay does a thing with Barclaycard and a German bank lets its customers decide the dress code. 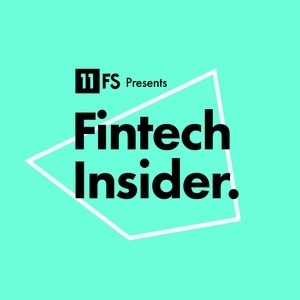 CIO of ING, Benoit Legrand came on to the Fintech Insider podcast to talk with Simon Taylor about unsuccessful startup experiences, innovation from the outside in and much more. CEO of CYBG, David Duffy came on to the Fintech Insider podcast to talk with Simon Taylor about banking in the age of fintech and challenging the challenger narrative. David and Simon are joined by Tom Blomfield and Romi Savova to talk about some of the most interesting stories of the last 7 days. Including: Britain's banks predicted to reveal the biggest profits since the financial crisis, the latest announcements from the RBS Remedies fund and Santander pays IBM $700M to help them transform.